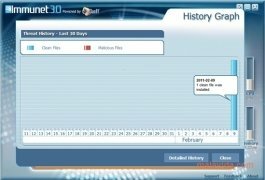 With the expansion of cloud computing, many developments are being based on storing and working on the Internet, only keeping those things that are necessary on the user's computer. That is the case of Immunet Protect, an antivirus that doesn't require updates to or to download files with virus signatures. 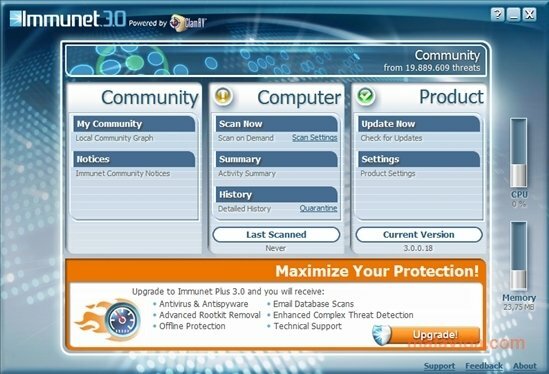 Immunet Protect needs the user to install a small utility on the PC that allows him to connect to the central servers that is where the important part of the tasks are carried out. 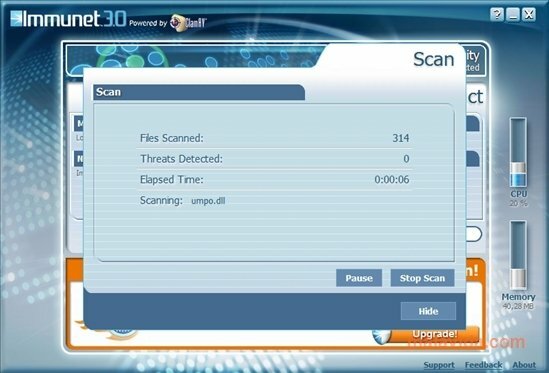 Thus, once Immunet Protect is installed and launched, the program will await until it finds any anomaly to quickly detect and eliminate the viruses that may pose a threat. And of course, we will always have the option to scan the PC whenever we want. 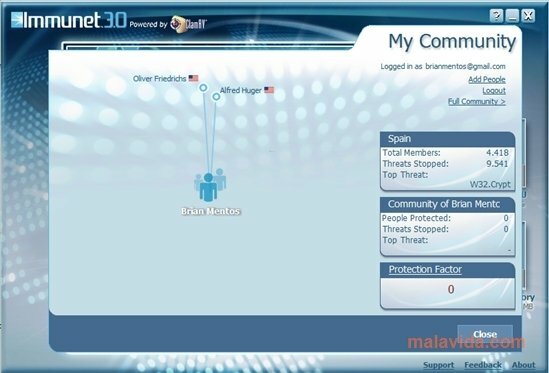 But not only will we have quick virus detection, Immunet Protect also has an internal social network in which we will be able to interact with other users with total security, and placing as a common nexus how secure our systems are. 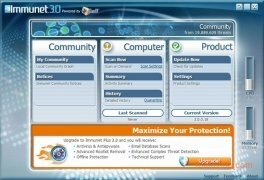 Something rather innovating and that isn't very common among the utilities that are normally included in an antivirus.